Savory pumpkin dishes are something still new to me, and I’ve been so pleasantly surprised how well the flavor works. 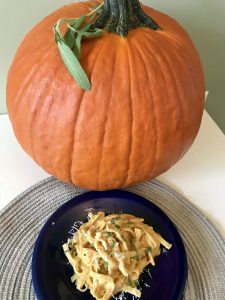 This pumpkin alfredo is a really easy starting point for anyone interested in making the jump from sweet pumpkin dishes to savory. A staple of mine in any pumpkin dish is fresh sage, and ground cloves. I find that those two ingredients really bring out the pumpkin flavor best in a familiar way. 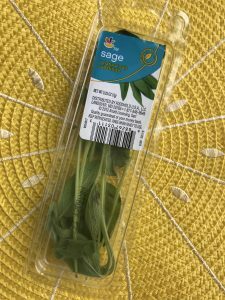 Sage instantly reminds me of thanksgiving and stuffing, while cloves are a powerful familiar flavor found in pumpkin pie spice. Savory herb meets warming spice and the rest is dinner history. 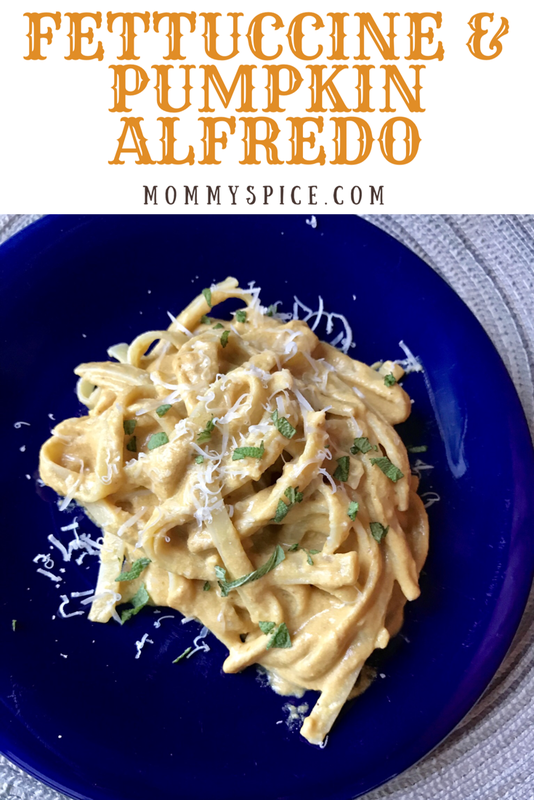 Side note, my very picky toddler could not get enough of this pumpkin alfredo! Heat butter in a medium size sauce pot. Chop garlic cloves fine and add to butter, sauté until fragrant, about a minute or so. Pour in your pumpkin and milk, stir to combine. Next add salt, cloves and cream cheese, stir until cheese melts. 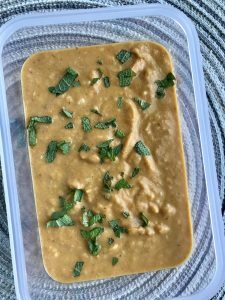 Turn heat down to low and simmer sauce for 15-20 minutes stirring frequently. While your sauce simmers, cook your fettuccine according to package instructions. Be sure to reserve 1/2-1 cup of the pasta water in case your sauce needs to be thinned out. When your sauce is done, take it off of the heat and stir in parmesan. If you prefer a thinner sauce add some pasta water a few tablespoons at a time until you reach desired consistency. Toss pumpkin alfredo with hot pasta and top with fresh sage. 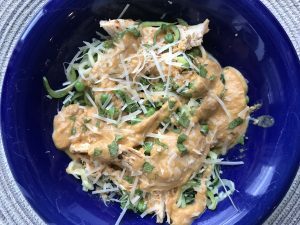 Another option is to toss this pasta with cooked zoodles, for a keto version. 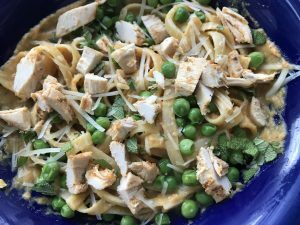 To make it a full meal, toss sauce in hot pasta with cooked chicken and peas. Now be warned this sauce is going to be of a thicker variety, but it also will stick really nicely to your pasta. By using the reserved cooking liquid from your fettuccine (pasta water) you’re able to thin your sauce out but not water it down. While your pasta cooks it released starches into the water, this is why your pasta liquid always ends up looking murky. Also by salting your water before cooking your pasta you’re actually adding even more flavor to the pasta water. It’s the best ingredient that’s actually a non ingredient that you can get. I always reserve some any time I cook pasta. It helps not only to thin out sauces but to add extra moisture to any baked pasta dishes that can tend to try out in the oven.